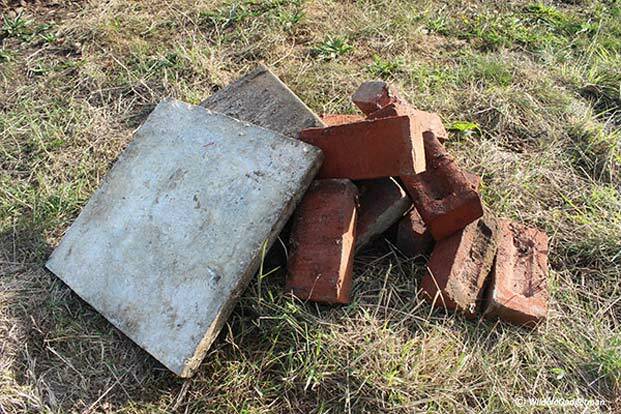 What you Need: (x2) Paving Slabs (approx 450 x 450mm), (x20 bricks), a small amount of meadow hay and lots of logs, leaves and twigs. 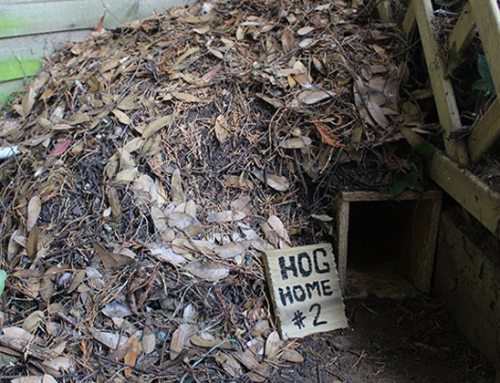 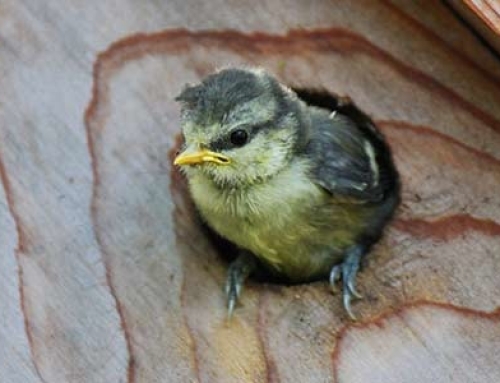 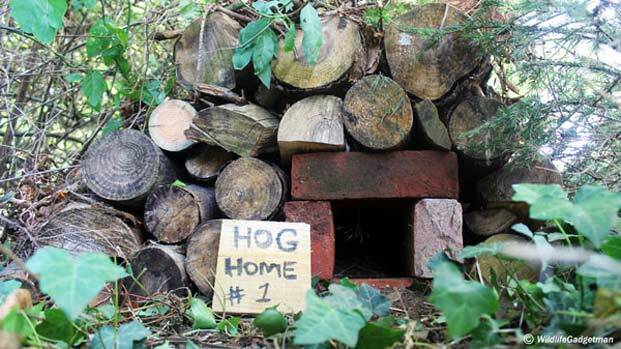 In this ‘How To’ guide I’ll show you how easy it is to make a very cozy hedgehog home using a couple of old paving slabs, a few bricks and lots of logs, leaves and twigs. 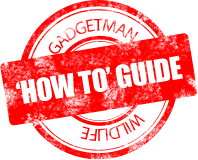 No tools are needed but you may wish to wear gardening gloves. 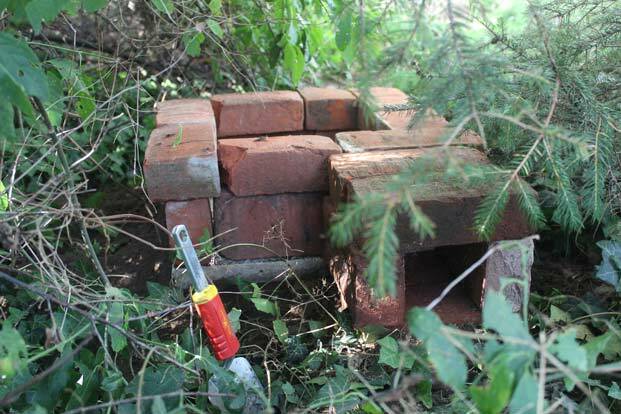 Plan the layout of the bricks out in the open as it will be much easier than trying to do it tucked under a hedge in the final position! 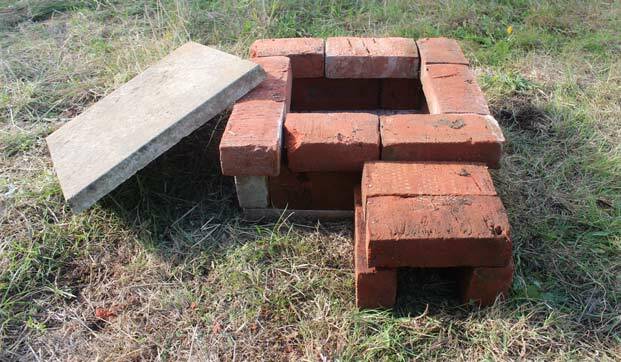 Starting with one of the paving slabs as the base, position the first row of bricks around the edge of the paving slab base. 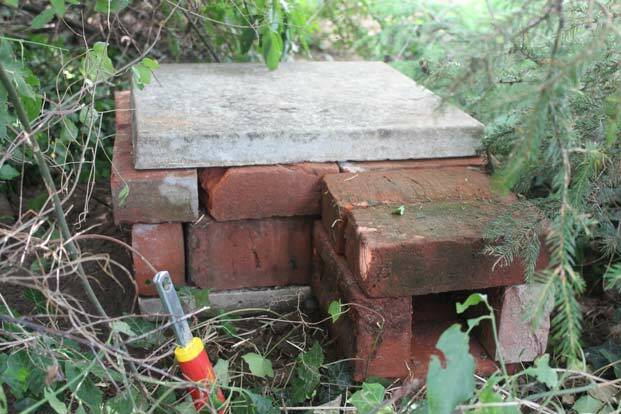 Leave a 120mm gap on one side for the entrance. 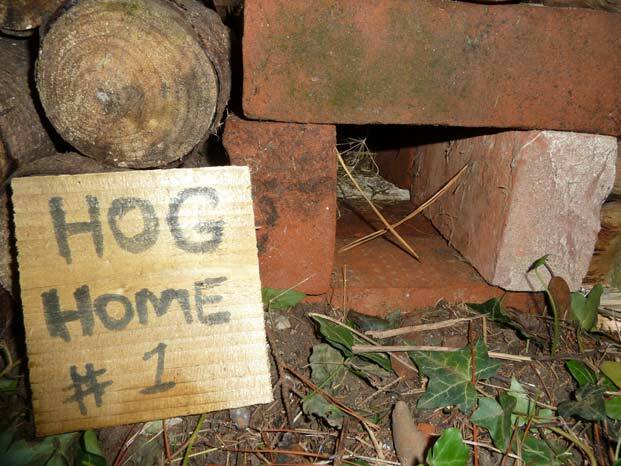 Place the second row of bricks as shown above as this will give a snub domed effect to the inside of the hog home. 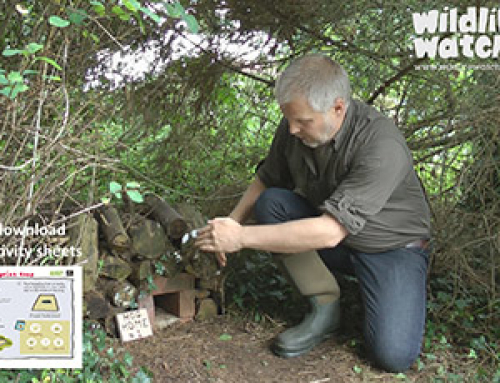 Look for a quiet corner of the garden tucked away under a hedge or somewhere similar. 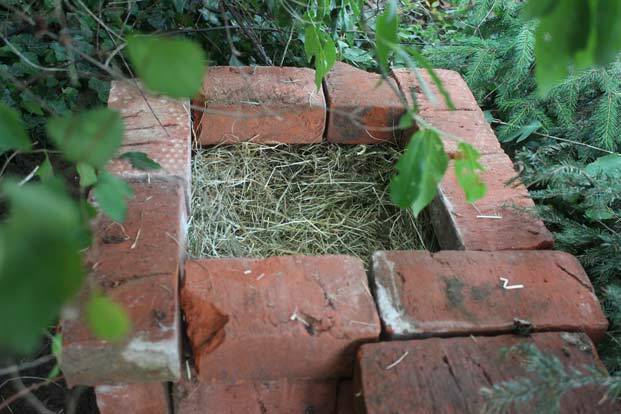 Meadow hay (available from most pet shops if you don’t have anything similar) is perfect to use as bedding material. 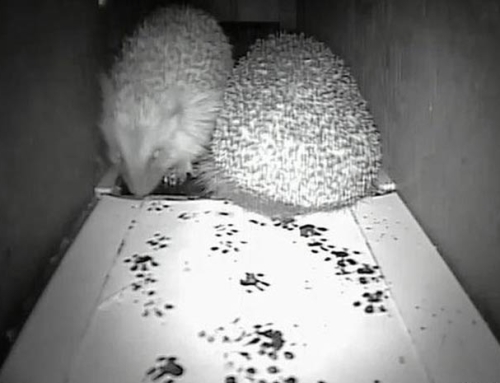 Don’t overfill the hog box though as the hedgehogs will rearrange and bring in their own bedding material too. 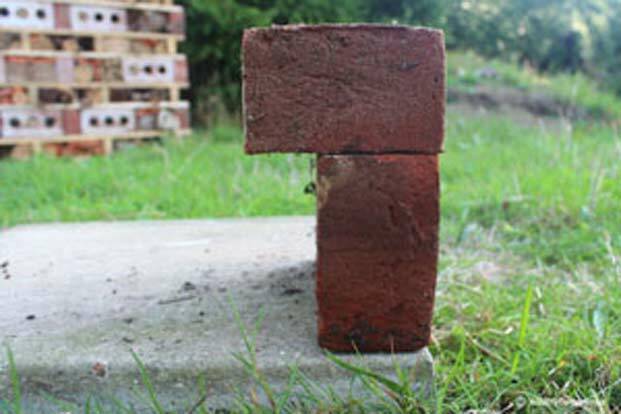 Make sure all the bricks are closely packed underneath to minimise any gaps between them. 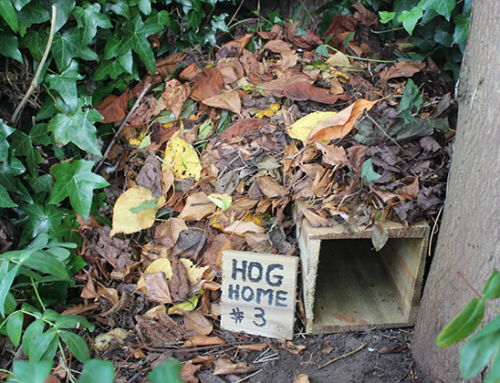 Any small gaps that do remain are perfect for ventilation and will ensure that the hedgehog remains comfy inside.